We are discontinuing this product due to customer feedback. The Adapta-cap sprayer is a higher quality product, but this sprayer does work and our closeout price is low. 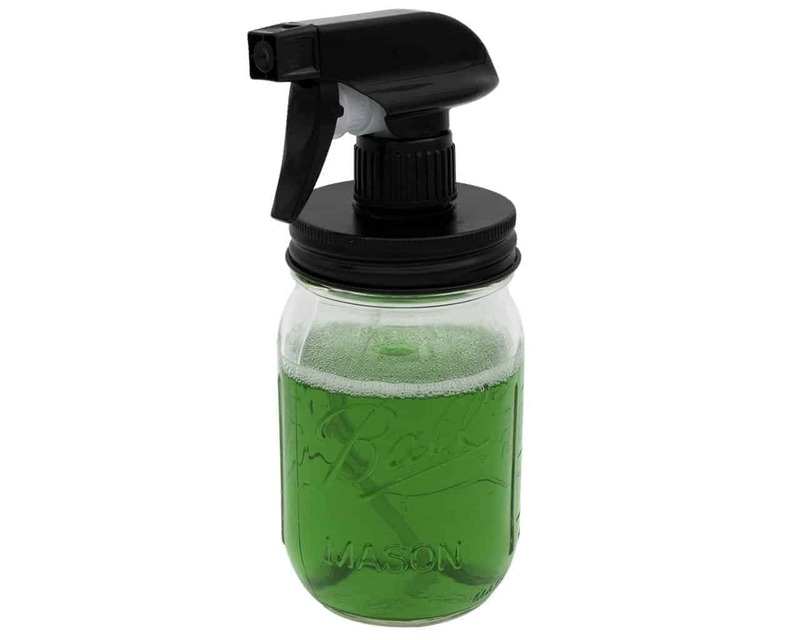 The lid is not strong enough to support the weight of a jar – hold the jar with one hand, and operate the trigger sprayer with the other hand. The lever also hits the lid when squeezed – I think it still works fine, but some people are bothered by this. 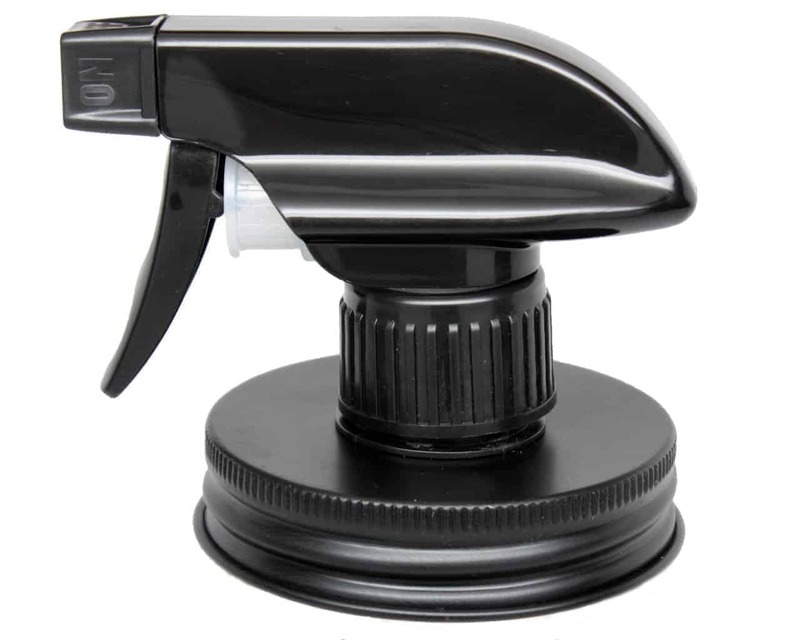 This black plastic trigger sprayer will turn any size regular mouth (2 3/8″ internal diameter) jar into a a spray dispenser! The black lid is painted aluminum, so it will not rust. It has a built in plastisol seal so it won’t leak. The plastic collar is permanently attached to the metal lid, so it cannot work itself loose and fall into the jar. Cut the tube to fit your jar. One trigger sprayer and one black aluminum lid per order.